It was more exhilarating than a roller coaster ride! Pure joy! As we stuffed the cash in the blank envelope and drove to the home of a family who were having financial troubles, I could barely contain myself! It was very late at night and my heart was racing as we tip-toed to the front door and slipped the envelope halfway under the welcome mat. I felt like a child again! The feelings of giddiness and anticipation for the recipients reminded me of a birthday long ago. My little niece, Wendie was so thrilled about the gift she and her mother were going to give me for my birthday which was still days away. Even though she had been sworn to secrecy by her mother, she was bursting with excitement until finally she blurted out, “Aunt Lisa, there is NO WAY I am going to tell you that we got you a cat for your birthday!” Remembering that look of surprise on her face after she realized she had let the cat out of the bag (literally 🙂 ) still brings a smile to my face even after thirty years. The excitement, joy and happiness that giving to others brings is hard to beat. In the book, The Science of Giving, researchers confirmed what the Bible already tells us, giving makes you happy! People who committed random acts of kindness were significantly happier than those who didn’t, and spending money on others makes you happier than spending money on yourself. Evidence from MRI scans even showed that giving lead to similar brain activity in regions implicated in the experience of pleasure and reward. 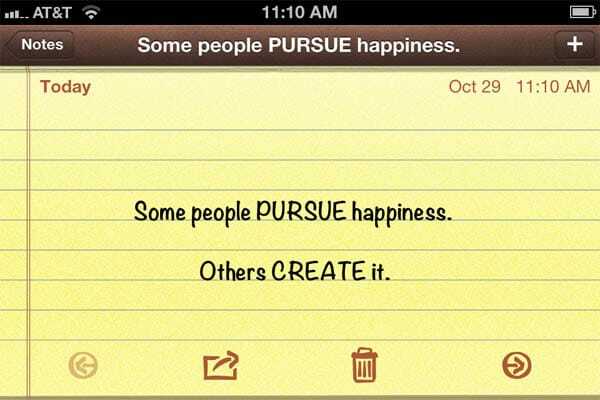 So if you are lacking happiness, don’t pursue it–CREATE IT! Jen HryCyk wrote an inspiring post for the website CreateHappyToday! She shares in detail about the day after she turned thirty-one. Focusing on gratitude and blessings, she and a friend spent the entire day doing random acts of kindness. I couldn’t help but giggle as she gives a play-by-play account of how they gave and brightened other people’s lives. There are so many ideas of ways to create happiness for both the giver and the recipient. Here are just a few . . . 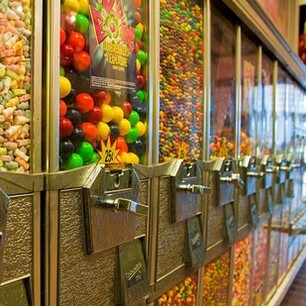 Put quarters in candy machines to make a child smile. 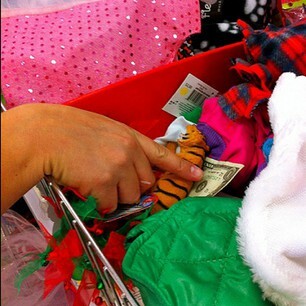 Hide a dollar in the dollar bin at Target. 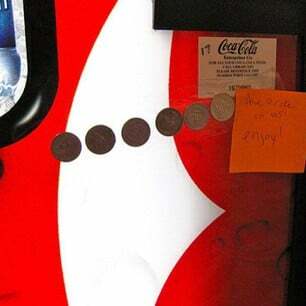 Tape enough quarters on a beverage machine for someone to enjoy a cold soda. 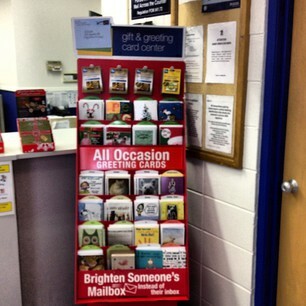 Send a card via Snail Mail to let someone know you appreciate them or you are thinking of them. For extra happiness put a Dairy Queen gift card inside!